Being frugal requires self-control and discipline. We’re conscious about how often we go out, and we carefully manage our spending habits in order to stretch every penny as far as we can. While frugalness has its rewards, how we manage our money directly has an impact on how we unwind after a stressful day. Some people choose to hit the town with their friends or go to the movies. Others enjoy pouring money into their favorite hobbies. This makes some budget conscious people feel like they have to carefully select the perfect time and place to relax during the week, but there’s a better way for frugal people to relax than to spend money. Here’s the ultimate guide to relaxing without spending a cent. Work can be incredibly stressful; and if we’re not careful, the stress can impact the rest of our day. That’s why one of the easiest ways to relax without spending money is to take advantage of unwinding as you get home. This can be done through resolving your work-related stress, and it can be done in a few ways. Firstly, you can disengage from work by setting up a nice routine at the end of your work day. List off everything that you’ve accomplished and build a nice to do list to set up work for the next day. This will allow you to complete the work process and will consistently allow you to disengage from work before you hit the exit. Another great way to disengage from work is to resolve any tension left over once you walk through your front door. If this doesn’t feel effective, you can engage in emotional therapy techniques that are quick and simple. All you’ll need is some type of writing tool. This can come in the form of an app, an electronic document, or a piece of paper. Once you have a timer set for ten minutes, dump all your thoughts as fast as you can for ten minutes. This will allow your brain to release everything it’s held onto throughout the day. Once the timer goes off, you’ll notice a couple of major emotional conflicts. This can be resolved through addressing the inner conflict through a free guided meditation or through simple subpersonality negotiation methods. When summer is booming, it feels wonderful to take in a nice breath of fresh air. Taking walks have proven to be shockingly helpful in managing stress. In addition to giving you a nice shot of energy, walking also helps naturally induce relaxation. Just like every other cardiovascular exercise, walking is known to stimulate the production of powerful hormones throughout your body. These hormones are known for decreasing your levels of stress and can even help battle depression. If you enjoy getting a good workout, you can go on a nice and relaxing jog or cruise through town with your bicycle. It’s easy to think that exercising is counter-productive to relaxation, but research has consistently proved that working out is linked to a more relaxed and peaceful life. Other exercises that stimulate a relaxing state include yoga and light resistance training. You probably have a great collection of music that’s patiently waiting to flow through the airwaves. In fact, research has scientifically explained why we feel so good as we listen to music that we enjoy. Music has a way to capture our experience, and when we hear a nice soothing groove, it soothes us. This is the perfect option for people who live life on the run, and don’t have much time in the day to sit down and relax. If you’re music collection is non-existent, there are plenty of free options available to casual listeners. Almost every published song has a free video, and there are plenty of free music services out there. Pandora and Spotify both have free options available, and Spotify holds an incredible collection of music that everyone can listen to for free. While ads can be slightly frustrating, using a free service to listen to your favorite songs will prove to be an incredibly relaxing experience. Public libraries are a perfect place to find access to books and movies entirely free. In fact, studies have discovered that reading for only six minutes can be enough to diminish your stress by about sixty-five percent. The greatest part about reading is that you can reduce stress by reading any subject that you enjoy. Whether you love reading mysteries, fantasy, or self-improvement, you’ll love how relaxed you feel as you finish reading. Books are relaxing, but movies are known to spark a relaxed state. Every movie sparks a unique experience in the viewer, and movies have countless lessons that can be learned. Cinema therapy has been a great way for psychologists to help impact patients at a deep level, but any movie that sparks positive emotions will relax you. Try not to get involved in violent or action-packed films if you’re looking to relax! Our brains contain “mirroring” neurons that are responsible for replicating the experience of the movie. If you watch a stressful movie about romantic betrayal or a life-threatening situation, then your brain is not going to feel anything but relaxed. If you’re looking for a fun way to relax, starting a free blog or sparking up a social group is a wonderful way to relax for free. There are tons of available options for people who want to share their adventures and hobbies with others. While there are tons of people who launch professional websites, a mass majority of people enjoy sharing experiences with each other for the feeling. Just like in reading, engaging in something you’re passionate about will help you relax and enjoy the present moment. If you love traveling, start reading and sharing videos and articles about your favorite destinations. If you enjoy playing an instrument, join a free community that enjoys talking to other musicians. Relaxing and resetting your life doesn’t require any money. In fact, the most beneficial relaxation occurs when your brain encounters extremely low stimulation or when elevated levels of endorphins are being released through the brain and the body. By connecting with others about your passions, you’ll be able to spark some nice relaxation and enjoy what precious free time you have throughout the day. Disconnecting all of your electronic devices for an hour is another fantastic way to relax without spending a cent. Studies have consistently proven that electronic devices cause sleeping issues as well as mental disorders, but we tend to overlook the negative side effects electronics have in our lives. By “unplugging” your mind from constant chatter and stimulation, you’ll be able to slowly shift into a more relaxed and present state. Instead of focusing on the screen, your mind starts to generate thoughts and you naturally begin to relax. If you find that disconnecting from electronics isn’t very relaxing, it may be even more important for you to unplug yourself from the constant chatter that blasts through modern media. It may be a hard pill to swallow, but a lot of us interact with our electronics too much. 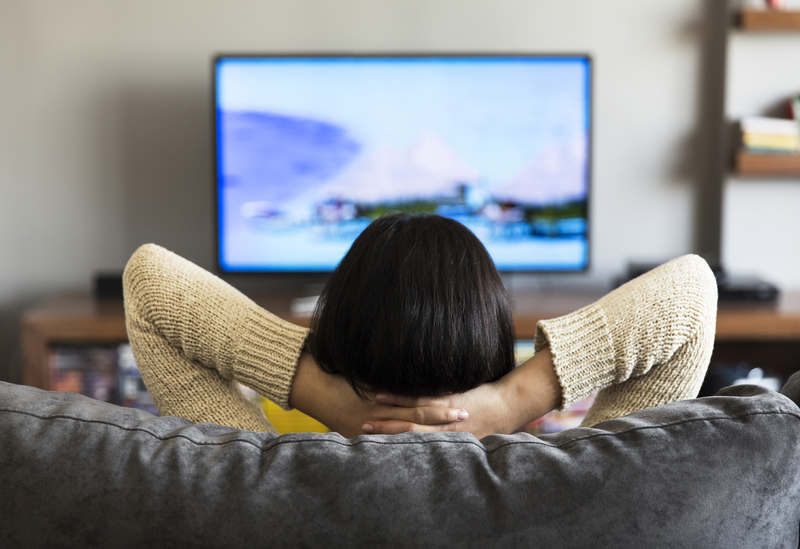 There’s good reason we keep our eyes on our phones while we watch television, but not giving your brain enough time to decompress and naturally function probably hosts a massive amount of long-term repercussions that aren’t fully understood. Instead try to play some board games with your family, pull out a pen and start writing, or even veg out! Even though it may seem like a lifetime away, but the first cell phone went on sale in 1983. It’s hard to remember the times that we were naturally unplugged from electronics. As our society develops, it will become more and more important to unplug. One of the best ways to relax is to spend a little time relaxing as you wake up. The perfect way to do this is through engaging in morning meditation sessions. Meditation is well known for developing self-control and boosting energy. And while these benefits are wonderful reasons to practice, meditation is also known for improving mood, decreasing stress, and improving self-esteem. This makes meditation a perfect way to relax, and it won’t cost you a penny. As frugal people, we understand the value of a dollar, but it’s easy to forget that time is money. Spending your time simultaneously improving your health, happiness, and your brain is the perfect way to kick off the day. Meditation allows you to disconnect from your environment and to focus on yourself. 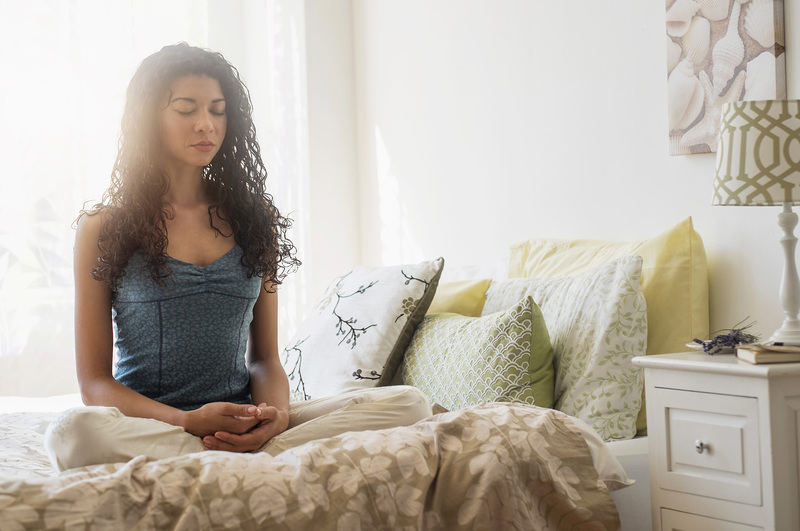 The practice can quickly become overwhelming for beginners, so we’ve broken down the perfect way to develop a routine for a relaxing morning meditation. Here’s a relaxing six-week process that you can enjoyably implement in the morning. Week one starts off simple. All you have to do is sit down comfortably, set a timer for five minutes, and peacefully follow your breath until the timer goes off. It’s important to keep the amount of time that you meditate low so that you can enjoy it. In fact, many beginners find trouble sitting perfectly still while silencing their minds for fifteen minutes. Meditation can also cause some major discomfort in your back and shoulders if you’re not used to sitting perfectly still. During week two, you can extend your time to following your breath for ten minutes. Week three is when things get more exciting. Practice stilling your mind for ten minutes, and ensure that you keep your body perfectly still throughout the process. This practice will disengage you from your environmental stressors and will allow you to take control of your mind. After you successfully conquer week three, week four will allow your meditation to take your relaxation to the next level. Follow your breath or still your mind for five minutes before actively relaxing every muscle in your body from the top of your head, all the way down to your toes. You’ve probably noticed that your muscles naturally tense over the long-term. By consciously relaxing your muscles once a day, you’ll certainly feel more relaxed and less tense as your day develops. On week five, you can up your meditation session up to twenty minutes. Practice by following your breath for five minutes relaxing your body for ten minutes, and feeling perfect harmony for the remaining five minutes. On the last week, you can choose to keep your meditation focused on relaxation, or you can start practicing more advanced meditation methods. However, it’s safe to say that focusing on relaxation is a great way to kick off the day! Life can get incredibly busy and hectic. Our brains consistently encounter stressors, and every time that we dive into nature we give our brains a chance to decompress. In fact, people who go backpacking for multiple days have shown a significantly better ability to engage in creative problem-solving. It’s believed that it takes the brain a few days to recalibrate into better sight and hearing, but there’s no doubt that accessing the wilderness can positively impact you. Exploring more about the world around feels invigorating. The air smells clean, we can breathe in fresh air that’s been produced from the oxidation in vegetation, and we get the chance to let loose for a little while. While we’re outside, there’s no distractions and little stress. It’s the perfect way to relax and reground yourself. After a lot of crazy and extensive testing, scientists have started to identify that our deep subconscious mind can’t actually process the difference between vivid imaginary experiences and real life. As a result, we can have a pretty fun time using our imagination and letting it run wild! The opportunities inside of our imagination are endless. There are no boundaries and no limits. It’s fun imagining becoming a famous artist or musician. It’s also nice to imagine your biggest dreams coming to life! No matter which direction you choose to direct your attention, your brain is going to heavily engage with you and naturally allow you to decompress your mind as a result. Using your mental capacities at this level do require a little bit of effort, but visualization is thought to have an incredible impact on boosting intelligence as well as decreasing stress. The best visualization process is considered by most to be image streaming. It’s known to help boost intelligence, improve mood, and even spark creative skills. While image streaming can be intense, we all enjoy catching ourselves daydreaming off into some distant reality. Our imagination is free to use, and it’s a great way to relax, disconnect, and unwind. Our brain operates in different states of mind that effect our levels of energy as well as our mood. For most people, learning how to fine-tune your brain frequencies through following a strict meditation practice seems like the opposite of relaxing. Luckily, the internet is full of free audios that automatically tune your brain into a specific state of mind. Overall, most people find that using an audio filled with alpha frequencies are the most relaxing. There are deeper levels of relaxation that can occur through binaural beats, but drastic shifts into low frequencies can result in a painful headache for people who aren’t used to drastically shifting brain frequencies. If you’re interested in binaural beats, simply search YouTube for some nice alpha beats. A small drawback to this style of music is that stereo headphones are far more effective than playing the audio from speakers. While this isn’t technically the most relaxing way to relax, finishing incomplete tasks can do a lot to help you relax throughout the rest of the day. These tasks can include laundry, cleaning counters, cleaning musical instruments, running low-stress errands, and even hobbies. Our minds tend to feel more relaxed and at ease when we have completed something that has been nagging us for a little longer than we hoped for. To not finish is human, but that doesn’t mean that we wouldn’t enjoy finishing painting our masterpiece or writing our novel. A lot of people have plenty of unfinished tasks lined up that wouldn’t cost a single penny to complete. If something comes to mind, feel free to pick it up. If you have to force yourself to think of something, it probably won’t end up being very relaxing and fulfilling of an experience. Procrastination is known to be stressful, and knocking out your to-do list can be a free way to improve your mood. Whether you enjoy being active or you’d rather lie in bed in silence, there are plenty of ways to relax without spending a cent. What’s your favorite way to relax for free? Did we miss one of your favorite ways to unwind? Comment below and feel free to share this article with the friends that you enjoy spending your time with.